Today, Mrs. Rezan Kader invited for lunch the Card. Fernando Filoni, Prefect for the Congregation for the Evangelization of Peoples, and Mgr. Antoine Camilleri, UnderSecretary for Relations with States of the Vatican Secretariat of State. The talks focused on the current situation in the Kurdistan Region, in particular the situation of refugees and additional aids to meet the growing needs of IDPs on site, such as the plan of new housing construction. The parties also discussed on the last visit of Cardinal Filoni, as Special Envoy of the Holy Father in Kurdistan and deep expert of the local environment, having been in the past apostolic nuncio in Iraq. In addition, the Card. Filoni and Mons. Camilleri were enthusiastic about the project in progress of a Catholic University, fundamental institution in education, to which the Prime Minister Nechirvan Barzani is devoting special attention. Both expressed to Mrs. Kader heartfelt thanks for the warm welcome and support from the Kurdistan Regional Government to refugees, of any ethnicity and religious belonging, sign of great sensitivity and civilization. 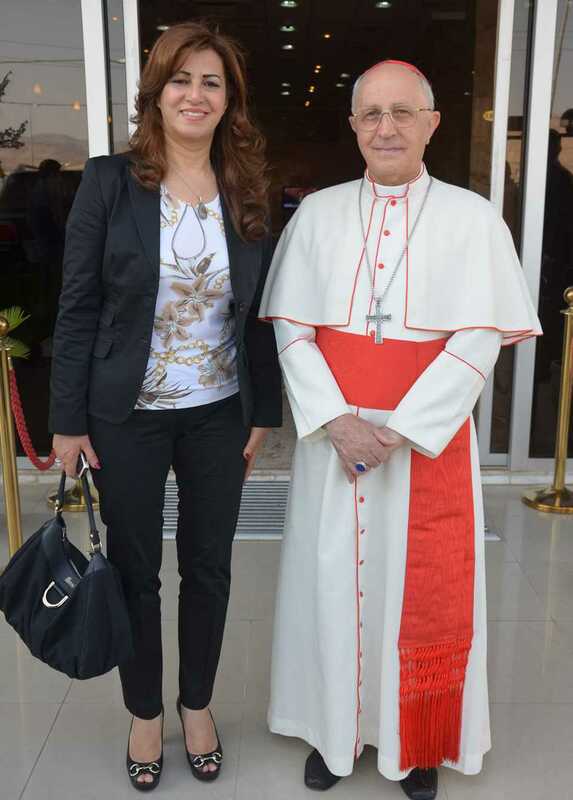 Mrs. Kader in turn thanked the Holy See for the solidarity which has always shown to the Kurdish people and expressed the strong desire of all Kurds and the Kurdish government to welcome the Holy Father, if he decides to visit Kurdistan. Finally, Mrs. Kader reported to Card. Filoni and Mons. Camilleri her intention to organize an exhibition of charity in favor of all refugees in the Kurdistan Region in the near future.